The wife of the first Ambassador to live in the new Massachusetts Avenue British Embassy happened to be a trained landscape architect and an American, Lady Lindsay (1885–1954). The extent of her influence on the Ambassador’s Residence has been little known and unexamined, particularly her relationship with the grand estate practically bordering the Embassy, Dumbarton Oaks, and its owners, Robert and Mildred Bliss. Lady Lindsay was born Elizabeth Sherman Hoyt, the daughter of the American financier and industrialist Colgate Hoyt; her mother, Lida, was the niece of Civil War general William Tecumseh Sherman and John Sherman, who served as both Secretary of State as well as Treasury. Helping run the family home ‘Eastover,’ 173 acres on Centre Island, Oyster Bay in Long Island, provided Hoyt with the practical business experience of handling an estate and nurtured her love of the land. Elizabeth was the youngest of four children but she proved so adept at running the gardens, woods, farm, and dairy, that her father gave her management of the property at a young age, even before her mother’s early death in 1908. 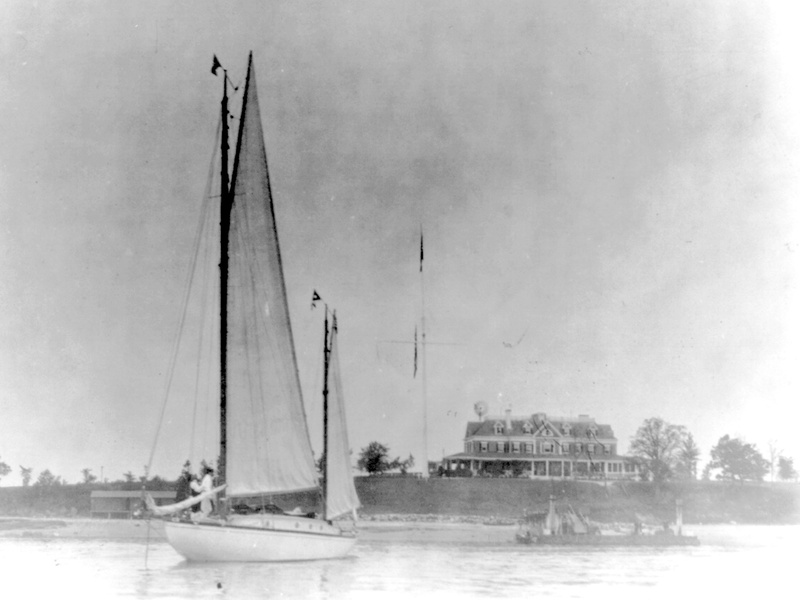 She was also avid about sailing (even making her own small boats and racing on Long Island Sound) and mechanics. Journalist, novelist, and historian Henry Adams—an intimate of her aunt, Elizabeth Cameron, mother of Ambassador Sir Ronald Lindsay’s first wife—became a mentor in her life. The grandson and great-grandson of presidents, Adams’s home on Lafayette Square across from the White House was a select social and cultural center in the still somewhat small town of Washington. She lived there during the period she worked for the American Red Cross, when not on assignment in Paris, and was there when Adams passed away 27 March 1918. 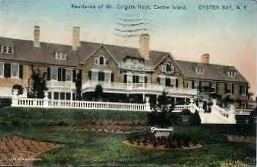 Lady Lindsay died in 1954 at ‘Lime House,’ the retreat she built on forty-six acres at her birthplace on Centre Island. ‘Eastover’ had been demolished in 1930, the year she had moved into the new Lutyens-designed Embassy. Beginning in 1909, determined to become a landscape architect at a time when formal training was not opened to women, Elizabeth Hoyt, along with friend Gladys Rice (later Brooks), studied botany and horticulture at the Arnold Arboretum in Massachusetts, under the a tutelage of the head, Charles Sprague Sargent, and the dendrologist, John G. Jack. Their social peer and role model, Beatrix Jones (later Farrand and the designer of the gardens of Dumbarton Oaks), who had studied with Sargent years earlier, had guided the younger women with both professional advice and a letter of introduction to the formidable Sargent. If, after consideration, a young woman decides that she wishes to become a landscape gardener, at least four years of study should follow this determination. Proper training involves a study of the architectural orders, mechanical and free-hand drawing, some theoretical engineering, and the necessary mathematics and courses in designing … The profession is not for those who must count on a steady and increasing income, since it is peculiarly dependent on the prosperity of the country, and is almost entirely a profession of luxury (edited by Agnes Frances Perkins. New York: Longmans, Green, 1910, p. 161-163). By October 1914, Hoyt set up her own office near Beatrix Farrand’s (who married historian Max Farrand in 1913). 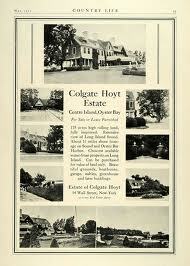 Work was mostly small commissions on Long Island’s ‘Gold Coast’ (the North Shore) of Long Island. Hoyt drove her Ford Roadster (she was the first woman in New York State to obtain a driver’s license) from Manhattan to the area of her upbringing, and in Cleveland, Ohio, the city of the Sherman-Cameron part of her family. 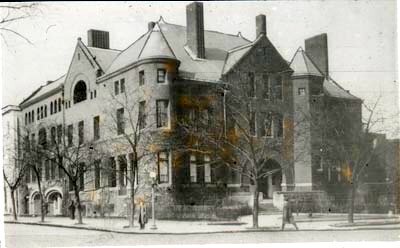 With the advent of the Great War, Hoyt felt compelled to go to Washington, staying in the home of the elderly Adams. Although never in good health (suffering from heart ailments), she became an assistant to Martha Draper, director of the Women’s Bureau of the American Red Cross. In August 1917 the two alone made a difficult voyage to England and France to compile a survey of medical supplies and other needs of field hospitals and relief organizations on the Western Front. By October 1917 she became head of the Women’s Bureau (ever efficient, she quickly dissolved her own section as being redundant within the Red Cross organization while remaining there as an executive). 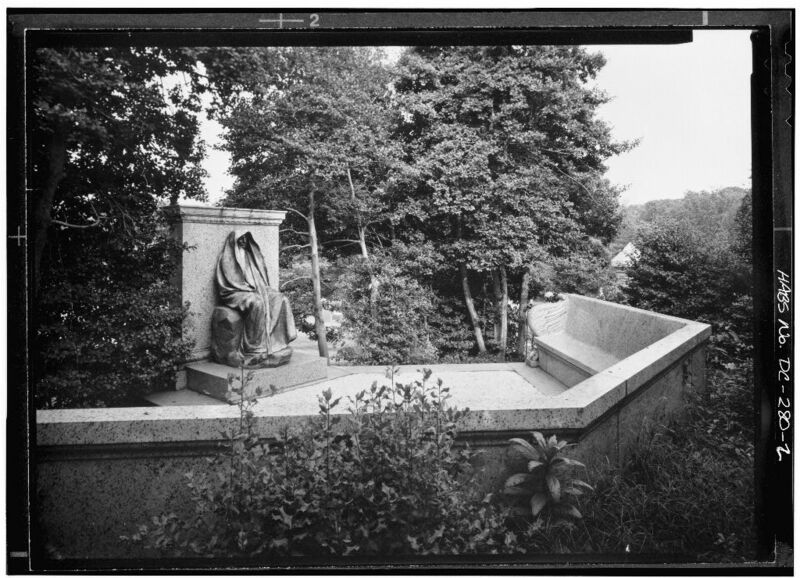 Elizabeth Cameron, long-estranged from her husband Senator James Donald Cameron of Pennsylvania, was deeply affected by the deaths of both her companion Henry Adams and daughter Martha in 1918. Hoyt became alarmed by the despair of her aunt; their mutual friend, novelist Edith Wharton (aunt herself to Beatrix Farrand), involved with refugee work in Paris, was impatient with Cameron’s morbid drama and worried about the effect on Hoyt’s career. 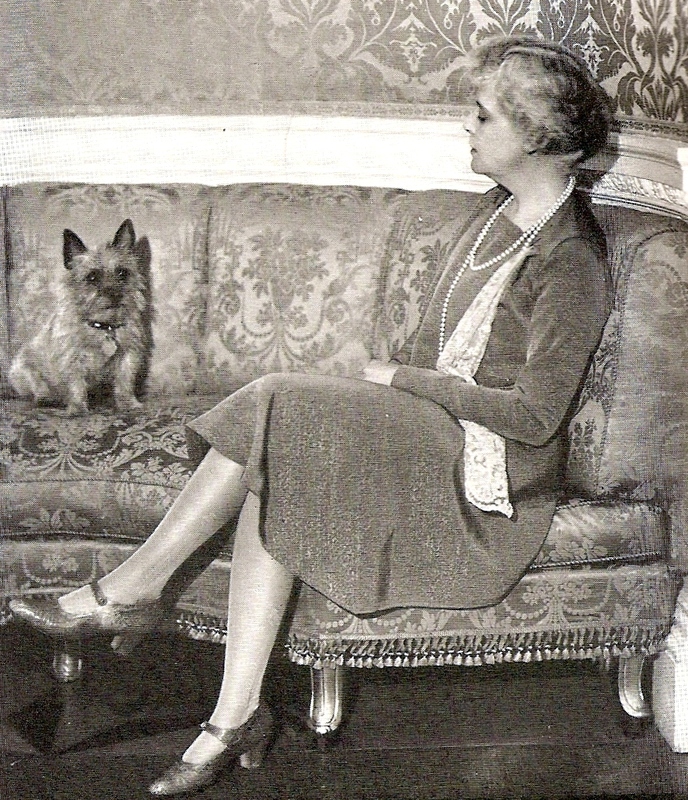 Unable to travel freely because of war-time restrictions, the always-loyal Hoyt arranged for a Red Cross assignment in Paris, with permission to visit her aunt at Stepleton House, Cameron’s home in exile in Dorset, England. After returning to America in the summer of 1919, depressed and ill, Hoyt had concluded she could no longer maintain her landscape gardening business, finding the work “unrealistic and futile” with what she saw as the inevitability of another world war. 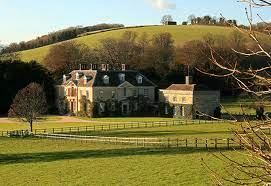 It was in the late 11th-century chapel of Stepleton, on 14 July 1924, that Hoyt married Hon. Ronald Charles Lindsay, the widower of her cousin. Although the union was largely arranged by her aunt, who expressed the concern that Hoyt, “who has always been as free as a lance, will feel the restriction of conventions.” But Lindsay, knighted in 1925, received increasingly prestigious postings, including Permanent Under Secretary of State and Chief of the Foreign Office, culminating in the Ambassadorship to the United States, and Lindsay appeared enthusiastic about her new work as a diplomat’s wife. Cameron also noted to Mildred Bliss shortly before the ceremony: “Elizabeth will be a great companion for Ronnie. She has the gift of throwing herself into someone else’s interests to an unusual degree. She is intelligent too. And her courage of character will be a good counter-weight to his British phlegm.” (17 July 1924, Harvard University Archives). It is done, and we are in our new Embassy. The confusion is hideous, the work appalling, and it will always be impractical. But it has charm and beauty, and the surroundings are peaceful and lovely. As I sit in bed drinking my morning coffee, from one window I see a great clump of trees, with the pure white Washington Monument rising from the trees against a BLUE sky; and from the other window I look out through the columns of our really beautiful Portico onto what will be our garden. 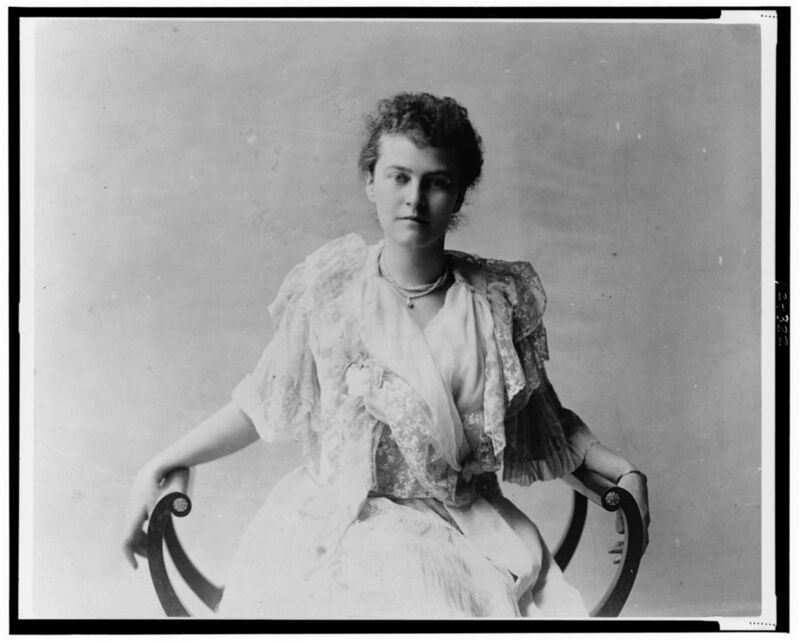 Lady Lindsay’s letters and papers, unlike many of the notables in her tight Washington circle, who also included Eleanor Roosevelt, Alice Roosevelt Longworth, Eleanor Belmont, and Congresswoman Isabella Greenway, are not in an institutional archive. They likely did not survive after the publication of The letters of Elizabeth Sherman Lindsay, 1911-1954 (1960). Lindsay’s will bequeathed all her personal papers to Olivia James, and, in the event her editor and close friend was no longer living, directed that they be destroyed. The diaries, memos and missives published in the book offer the best existing record (although of course, selective and judicious) into Lindsay’s life—her upbringing, studies, career, travels, friendships, views of current events, and what she intended for the Embassy’s gardens. Other sources for Lindsay and her remarkable path are the bittersweet memoir by her companion in horticultural studies, Gladys Rice Brooks, Boston and return (1962) and the occasional published letters of her contemporaries. There is an affectionate portrait of Lindsay in the actress, socialite and philanthropist Belmont’s Fabric of memory (1957). However, it is the papers of Mildred Bliss of Dumbarton Oaks that provide out a better, unvarnished understanding of Lindsay. Bliss’s letters reveal close connections between the accomplished women, including Farrand and her aunt Edith Wharton, whose far-flung lives and work, in a novelistic twist, came to share Washington for a time, creating famous landscapes almost next door to each other. 1The Letters of Henry Adams, v. 6, 1906-1918 (Boston: Massachusetts Historical Society, 1988), pp. 531-2. 2_____. v. 6, p. 595. Barrett, Tim. “Long Island Yankee in King George’s court: Elizabeth Sherman Lindsay and the 1939 British Royal visit to the United States.” Long Island Historical Journal, Fall 2003/Spring 2004, v. 16, nos. 1-2, p. 112-134. Brooks, Gladys. Boston and return. New York: Atheneum, 1962. James, Olivia, editor. 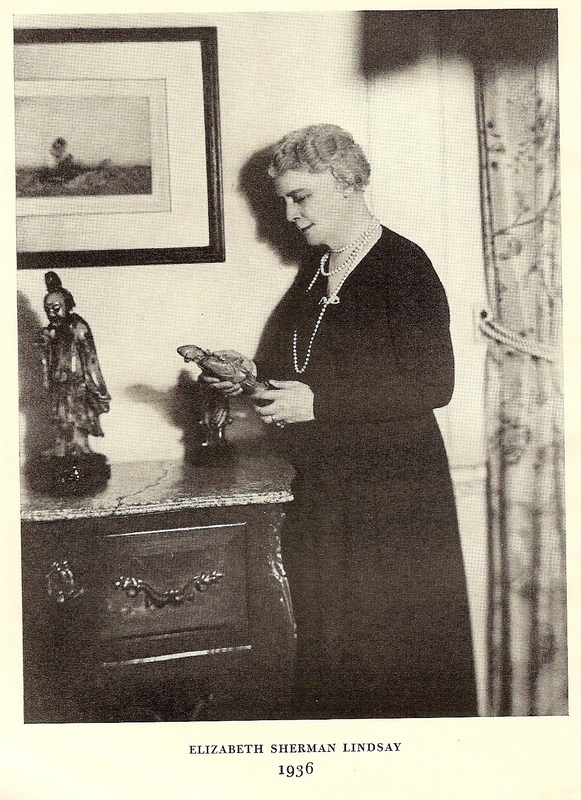 The letters of Elizabeth Sherman Lindsay 1911 – 1954. New York: Privately printed, 1960. Spinzia, Raymond E. and Judith A. Spinzia. Long Island’s prominent North Shore families: their estates and their country homes. College Station, Texas: VirtualBookworm.com Publishers, 2006. Sutton, S. B. Charles Sprague Sargent and the Arnold Arboretum. Cambridge, Massachusetts: Harvard University Press, 1970. Tehan, Arline Boucher. Henry Adams in love: the pursuit of Elizabeth Sherman Cameron. New York: Universe Books, 1983. Zaitzevsky, Cynthia. “A career in bud: Beatrix Jones Farrand’s education and early gardens.” Journal of the New England Garden History Society 1998, v. 6, p. 14.